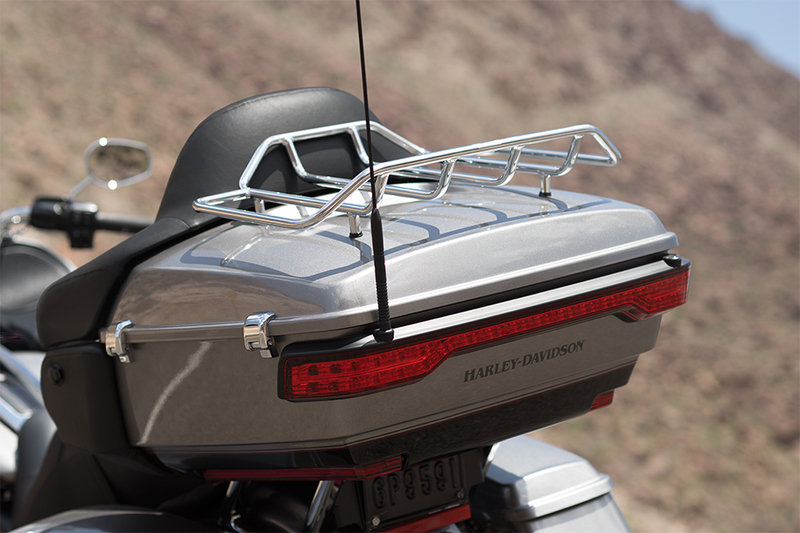 Upgraded for the new model year, the Harley-Davidson® Road Glide® Ultra takes the Road Glide® to the next level. 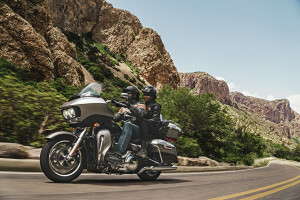 This premium touring bike continues to be one of the leading options in the the Harley-Davidson® Touring lineup, so you know it’s ready to tackle even the longest rides with ease. 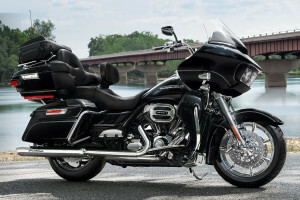 For riders based in the Overland Park and Lenexa, KS area, it’s a great option for long-range comfort and control. 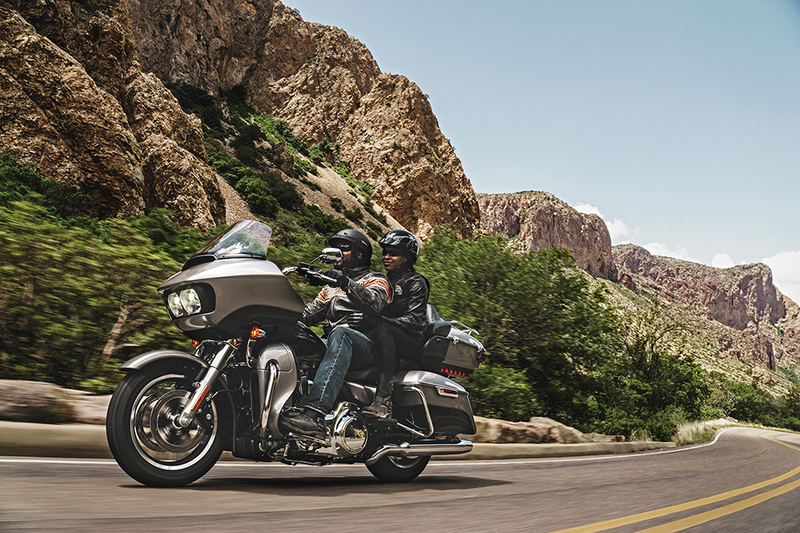 Find out more at Riverside Harley-Davidson®! 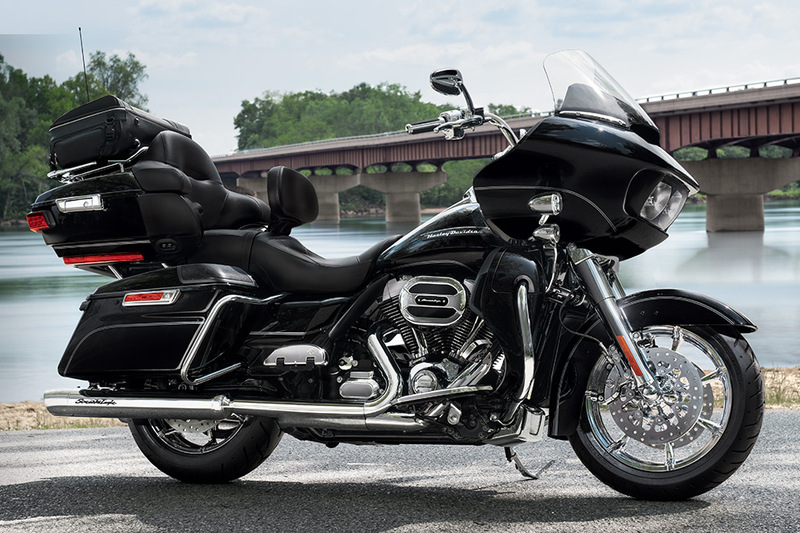 The Road Glide® Ultra is a loaded touring bike ready to hit the road for epic rides thanks to the latest Harley-Davidson® features. 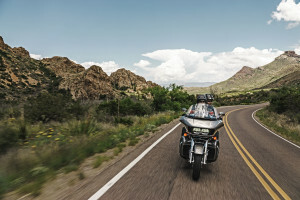 Air-Adjustable Suspension: With air-adjustable suspension, it’s simple to set up your bike to deliver the kind of ride you want, no matter what combination of passengers and luggage are on board. Brembo® Brakes: You’ve got high performance stopping power thanks to Brembo® brakes that feature dual front rotors and a 4-piston caliper on the front and rear. H-D® Smart Security System: This factory installed standard feature delivers the security want. 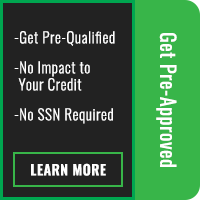 A wireless keyfob automatically activates the system when you step away and deactivates it when you return. 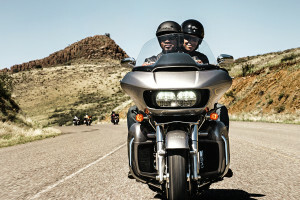 Reflex™ Linked Brakes with ABS: Anti-lock linked brakes deliver the stopping power you need and practically eliminate wheel lockup even on slippery roads. Steering Head and Front Forks: The oversized front fork legs deliver added stiffness and more confidence in the corners, and retuned damping provides plenty of cushion. Twin Cooled™ High Output Twin Cam 103™ Engine: You’ll never ask for more power thanks to the new High Output Twin Cam 103™ engine. 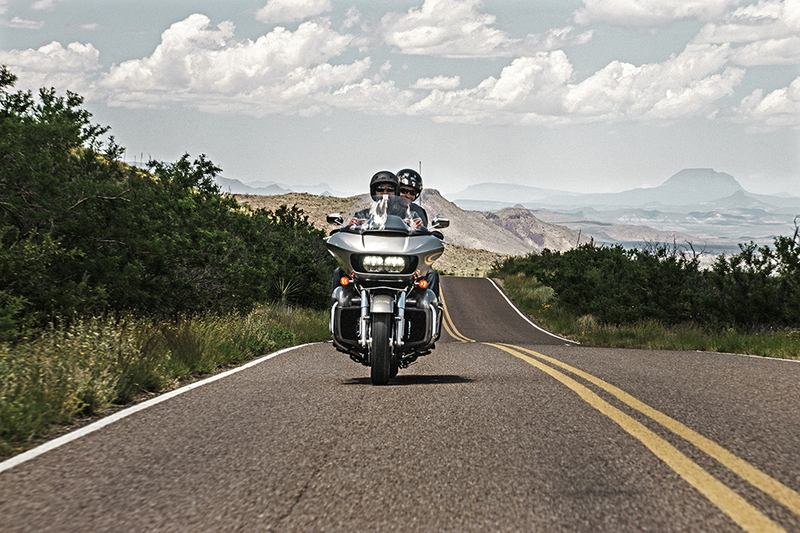 Dunlop® Multi-Tread™ Tires: This multi-function tire is ideal for the Road Glide® Ultra. 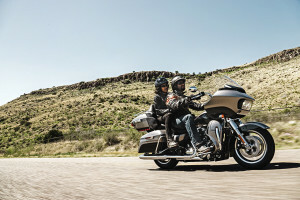 A harder compound in the middle of the tire offers increased durability, and soft rubber on the edges ensures more cornering capability. Dual Daymaker™ Reflector Headlamps: These incredibly bright lights deliver the punch and spread to make even the darkest roads a breeze to ride down. 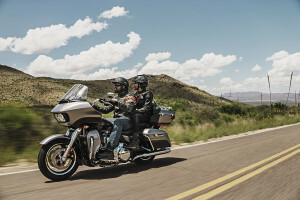 Six-Speed Cruise Drive® Transmission: Smooth shifting lets you easily move through the gears, and this gearbox also makes it easy to hit a low RPM cruising gear. 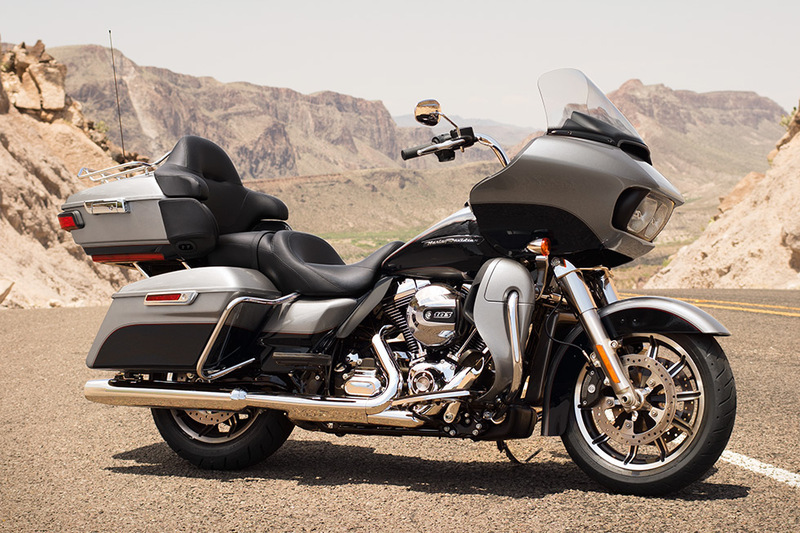 Twin Cooled™ High Output Twin Cam 103™ Engine Innovation: The big High Output Twin Cam delivers more muscle thanks to innovative features like fuel injection and lightweight alloy components. Boom!™ Box 6.5GT Radio: This radio cranks out big, bold, crystal clear sound, and it even automatically adjusts volume and equalization depending on your speed. Jukebox With USB Port: This system allows you to plug in, recharge, and stream audio from your favorite smartphone or other device. Handsfree Infotainment: With smart voice commands, you can take advantage of your infotainment system while you focus on the road. Back and Arm Rests: To keep your passenger happy, the back seat gets both back and arm rests. 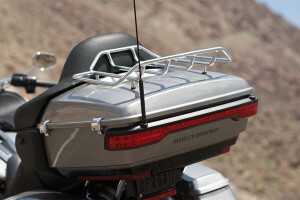 Fairing Lowers: Your legs get coverage from wind and road debris, and you even get vents for use on hot days. Increased Passenger Seat and Leg Room: The rear seat passenger can relax with more space in back than ever, including more seat space and more leg room. 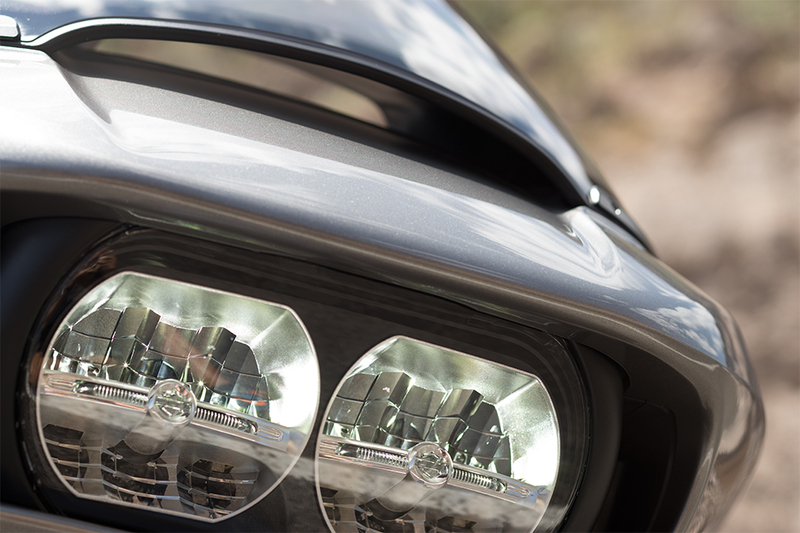 One Touch Fuel Door: The fuel door takes a single touch even with gloves on. Two-Up Touring Saddle: This stylish, sculpted saddle offers a deep bucket and narrow neck to provide plenty of comfort and relieve pressure. Full Length Footboards: In order to give you the flexibility to ride how you want, the Road Glide® Ultra includes full length footboards with comfortable rubber isolating foot pads. Standard Cruise Control: To help you cover more ground, you get standard cruise control. This makes it easier to enjoy mile after mile in comfort. 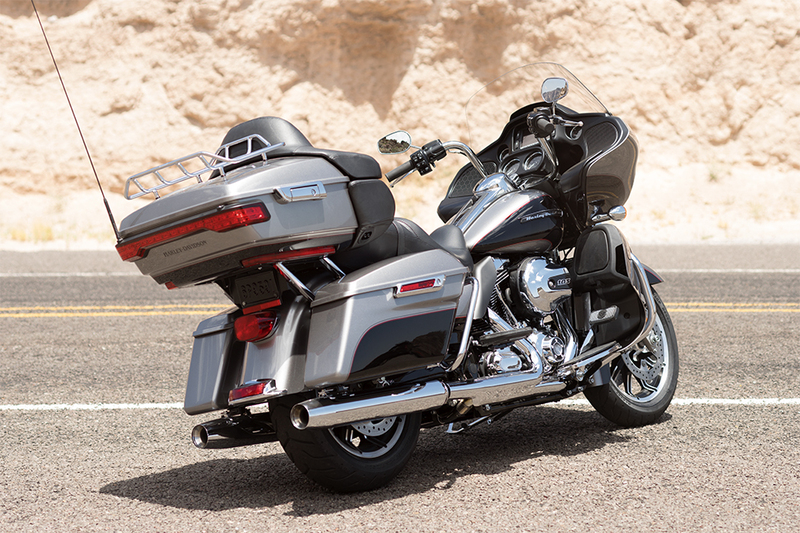 Your Road Glide® Ultra looks great in any situation, whether you’re cruising around town or out on the open road. New 13.5-inch Custom Windshield: With a new, taller windshield, you can make head buffeting winds and flying insects a thing of the past. Restyled Fairing, Saddlebags and Front Fender: New styling provides a unified, smooth, seamless look with paint matched fenders, saddlebags, fairing, tank, and more. 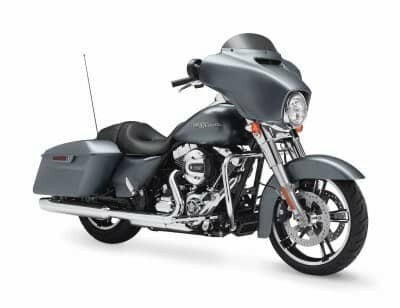 Classic Fuel Tank: The unmistakable Harley-Davidson® fuel tank gives you full custom badging, premium paint, and a generous six gallons of fuel tank capacity. Impeller Cast Aluminum Wheels: With a classic, cast aluminum pattern, these wheels provide lightweight performance and head turning style. 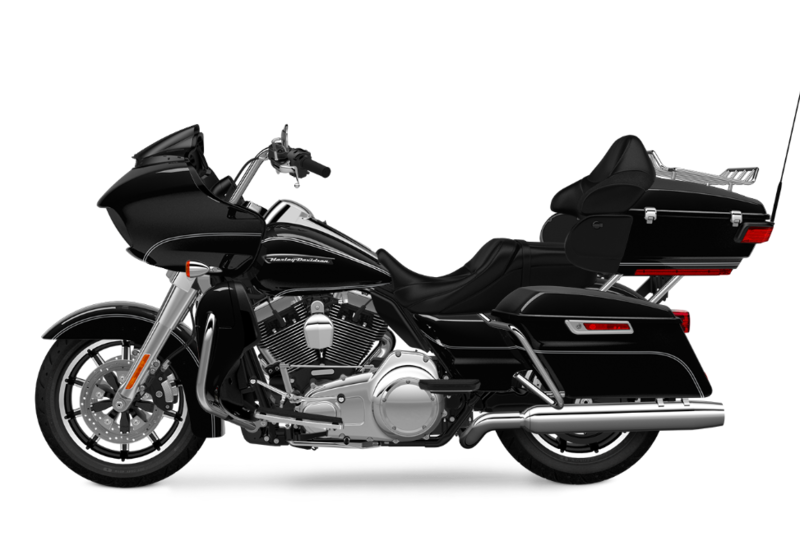 Pure Harley-Davidson® Styling: The big V-Twin at the heart of the Road Glide® Ultra looks great and features a chrome air filter cover, machined cooling fin tips, High Output 103™ badging, and black powder coated cylinders.